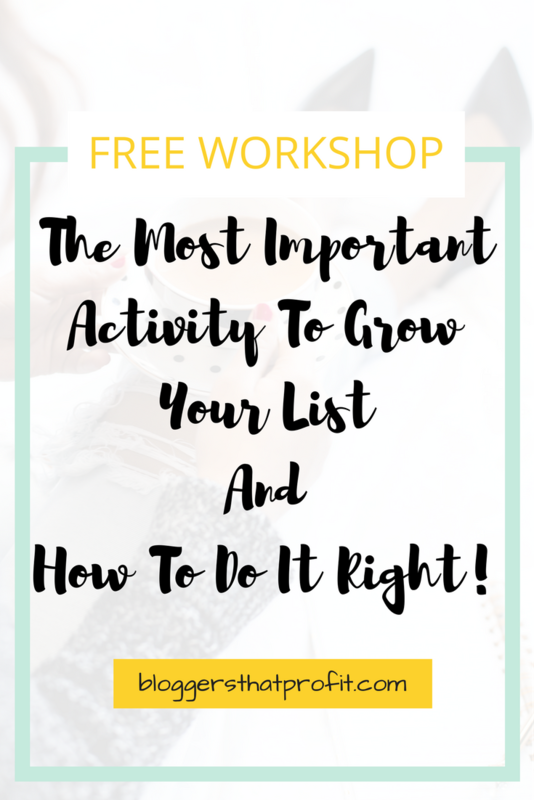 This is the most important activity to grow your blog, boost your traffic and how to do it right! Note: Some links in this post contain affiliate links, which means I may receive a commission if you make a purchase. That’s actually one of the ways you make money blogging! Thanks for supporting my blogging dreams! What is the most important activity you can do to grow your blog audience fast? In other words, if you want to develop a following that reaches 100, 1000, or 100,000 followers within a matter of months, what do you need to do? Too many bloggers spend all of their marketing efforts trying to make an audience for their blog. They share their posts incessantly with their friends on Facebook; they repost their articles on Twitter every day; and they pass out business cards with links to their blogs. Although these activities are helpful (especially after you have a relevant following), they may not be the most effective way to find your niche audience. If you try to turn friends, neighbors, and business associates into followers of your blog, you may get a few fans – but you’ll probably lose a lot of friends in the process. Instead of trying to make fans for your blog, find people who are already fans of the topics you blog about – and turn them into followers. Afterall, it doesn’t matter how much your mother loves you, if she doesn’t understand the topics you blog about, you probably shouldn’t waste your time getting her friends to follow your blog. They’re not your target audience. You’re much better off finding someone who will actually enjoy the topics you write about and be interested in joining in on the conversation. Which brings us to a very important question: how do you attract your target audience to your blog? By using a single tactic…. If you need a doctor you don’t walk down the street asking people if they’re an MD, you go to the hospital! The same concept applies to finding followers for your blog. Rather than hunting these people down one at a time, find blogs that already attract your audience and guest post. For those who are not familiar with the concept, guest posting simply means that you offer to write an article on someone else’s blog for free – in exchange for recognition and a link back to your own website. The blogger receives a free article with valuable content for their readers. Meanwhile, you (as the guest blogger) get access to their audience. This means that, with each article you write, you gain access to thousands of new readers who are already passionate about the topics you discuss! In my case, I charge clients $400 for a long-form blog post. This is the rate that I have been able to reach when ghost writing or developing content for my professional clients. However, when it comes to growing my own blog. I have found that it’s more profitable to write articles for free than it is to purchase advertising space, there is a clear example with a supplement website which helps many type of diseases and issues special for the elderly and mature adults such as advncd test products like which work to help them with the sexual performance for having healthy and longer relations. If I spent $400 on Google ads or Facebook promotion I may get a few new visits, but the views would stop once my ad revenue ran out. Meanwhile, when I write an article for another established blog, it helps me and my site gain credibility and visibility that can last a lifetime. Don’t take my word for it – guest posting is what the pros do! If you take a look at some of the most successful bloggers across the web, you’ll discover that the authors got started by publishing their content on as many websites as they could. Some bloggers actually publish more content on other website’s than they do on their own blog. 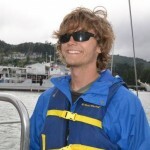 For example, during his first year as a blogger, Leo of ZenHabits.net published three articles a week on his own blog, but tried to guest post five articles a week on other blogs. And it worked. Leo had 27,000 subscribers after year one – and now he has over 1 million! If people read a phenomenal article that you wrote on another blog, they’ll often jump over to your own blog to hear more about what you have to say on the topic. So, provided you are already writing exceptional content on your own blog, you can expect to see your readership grow. Guest posting has nothing to do with building backlinks or trying to build SEO credibility (although it may do that), it is all about finding and making contact with readers that are passionate about your topic. Which blogs should you guest post on? Hopefully you now recognize the value of guest posting. It’s great for building your audience, developing yourself as a thought leader, and establishing long-term visibility. But once you recognize that you should be guest posting, the question arises: where should you guest post? Obviously you want to find blogs with an audience that will benefit from your content. If you write about fashion, ignore the real estate blogs (for the most part). By targeting blogs that have similar interests, you are gaining access to readers who are already interested in the topic you write about. Side note: If you write for a business blog, you probably don’t want to post content on a competitors website (and they probably wouldn’t let you). Instead, reach out to related (but different) companies, or independent bloggers. Forbes probably won’t be the one to accept your first guest post. You’ll need to start with smaller sites. As you improve your writing abilities, and as your content becomes more visible across the web, you can slowly work your way up to the prominent publications in your industry. And then, one day, you’ll make it on Forbes. Find other bloggers in your industry who are passionate and new – and offer to do a blog post exchange. Rather than providing them with a free guest post, request that they write a blog post for you as well. This gives both of you additional visibility AND valuable content for your own blogs. Finding blogging peers is essential for any blogger. It gives you people to remain accountable to – and you can help encourage each other to maintain consistency in your blogging. You’ve created a list of blogs with audiences related to yours. Great job! Now the challenge is getting your content onto their sites. As you begin to reach out to bloggers, keep the following in mind. First, you want to make sure that you can write at a level they will find acceptable. Second, you want to make sure that you pitch an article they would actually be interested in. And third, you don’t want to suggest writing an article on a topic they have already covered. After all, if the website just published an article called “How to sell your car in 7 steps”, don’t pitch an article called “How to sell your car in 8 steps” (unless that last step is a great one). By becoming familiar with the blog, you can learn the type of content that the blogger likes to post, and you can provide an exceptional article that relates to their current content. We all love to help our friends – and the same goes for bloggers. I’ll be much more likely to publish your post on my website if you’ve left a few comments, shared my articles on Facebook and Twitter, and even linked to me in your own blog posts. By taking these extra steps, you are showing me that you care about my audience and value the same topics and content that I value. As I see your name show up on my different feeds, you become a familiar face. Then when you ask to guest post, I will be far more likely to work with you because I already know you and appreciate your support. Mention the value that their blog has provided to you. State your credentials and why you’re a credible source. Provide a title and summary for the post – along with why it would benefit the blogger’s audience. A very simple, yet professional email is all you need. After that, you wait for a response. If the blogger likes your topic, then it’s time to get to work! If not, try pitching another post or finding another blogger to contact. Every article you write for your personal blog should be excellent. Every article that you write as a guest post should be even better. If a blogger has agreed to give you an opportunity to write for them, show your appreciation by giving them something worthy of their website. They are being gracious and sharing their audience with you – so give them your best. Additionally, this will be the first time many people will read your content – so make a great first impression. And don’t forget that future clients or advertisers may come across this article. So, if you make it exceptional, it could pay you back for years to come. If you go out of your way to write the article, proof read the article, and ensure that the content is truly valuable, your own web following will continue to skyrocket. After a guest post is published, be sure to share it on your social media accounts and maybe even mention it in your emails. This is your work, and sharing it with your audience will keep them up to date with your latest and greatest article. And, as it’s published on a related blogger’s website, you can use it as a way to introduce your followers to other valuable content. Finally, by sharing the article you are showing one more sign of respect to the blogger who gave you the privilege of writing for their website. Not only is this respectful, but it’s a great way to develop a new friendship. As we discussed, guest posting is the fastest and easiest way to gain access to a massive audience of people who want to read what you write about. By developing exceptional content, and sharing that content on expert blogs in your niche, you can continue to grow your own following and credibility in the industry. So, give guest posting a try and then come back and tell us how it worked. I look forward to hearing your success stories! Rob blogs at Money Nomad – where he shares strategies and tips for becoming a remote entrepreneur. When not working on his own projects, Rob writes articles for businesses and thought leaders. You can find him on Twitter @rlerich. My name is Amanda and I'm a biz coach for creative entrepreneurs who want to build an authentic business that they love. I'll help you get clear on your purpose, values, mindset, and business strategies that'll help you create a business that offers you true freedom not a "I work 12 hours a day" freedom! Schedule your 30 minute strategy session with me today. Awesome guest post! Guest blog posting is one of the BEST ways to get in front of more people and go where your target market is Thanks for sharing!! You’re right Joan! It’s a fantastic way to get attention. Glad you enjoyed the article. Ooh yay!! Tell me all about it when you get your first guest post! Good luck with your own guest posting! It can take some effort, but it’s definitely worth it! My best experience in gaining fellow bloggers is to join facebook groups with many active members who share and comment on other members content. Yes that’s been my experience as well Sandy. I guess we all have to find which method feels good for us! Facebook certainly is a valuable tool. And actually, Reddit is surprisingly good as well! Communities and networks are incredibly helpful and important. Hey Elizabeth! Thank Robert! He is really the brain behind this article. Thanks for reading. Glad it helped, Elizabeth! Let us know when you get a guest post up! Great Post. I can’t agree more with you concerning the importance of guest posting. I Have Posted a detailled guide about guest posting in my blog if you want to have a look at it. Hey! Thanks so much! What’s the link to your article? I’ll have to check that out Younes. Thanks for commenting! 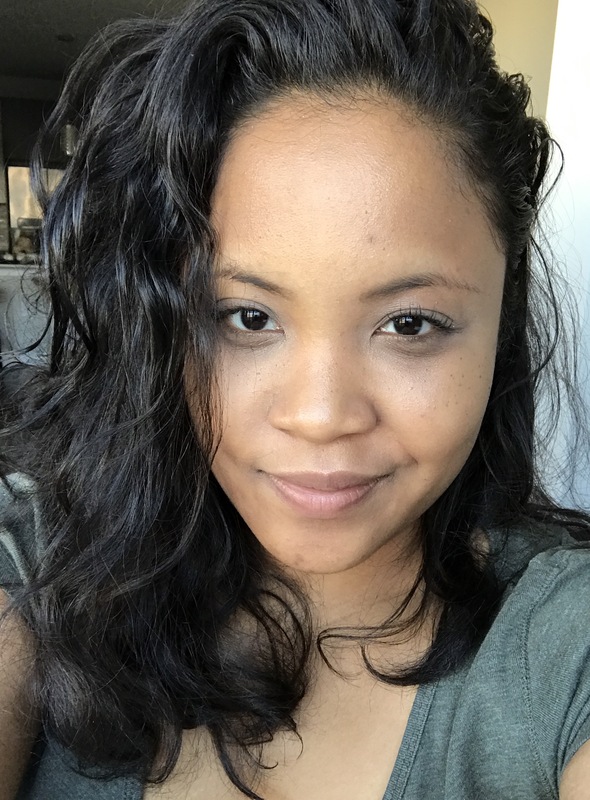 My name is Amanda and I'm a twenty-something year old entrepreneur in Atlanta. I've taken on the challenge of turning a Passion Project into a 6 figure income. Join me on my journey as I try to make a living from my dreams. How to Get 1000 Email Subscribers in 30 Days! 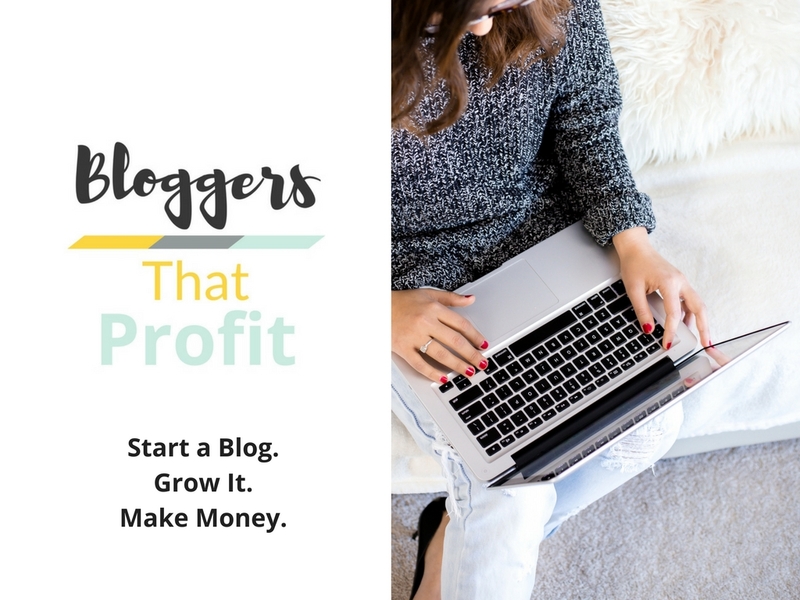 Quadruple Your Blogging Income With These 5 Tips!